I take a gap for a quarter in order to take a rest since I am tired of the ESL. It is exhausting. In these three months, I decide to write about life journal, which is going to be about my views on Arts and Music(SYMPHONIC METAL!!). It may include my trip which I am planning to visit with my family. For this volume, I would like to talk about my photos first. I am not really photography-majored student but have strong passion on it. I either emphasized the focus by playing with value or forming composition with diagonal line. Diagonal line often gives a sense of movement and tension feeling while value can somewhat help me to create the isolation or center of interest. Just do some analysis for my composition in my first journal. I personally reckon that I myself need to be concise about what I am doing in my artwork before people know my works. Low-key value of the bird shows that it is a focus(and center of interest), while its surroundings are relatively high-key. Emphasis of isolation can be seen in this picture. The right-hand up corner of "low-key" helps to balance the value of this picture(LOW-HIGH-LOW). 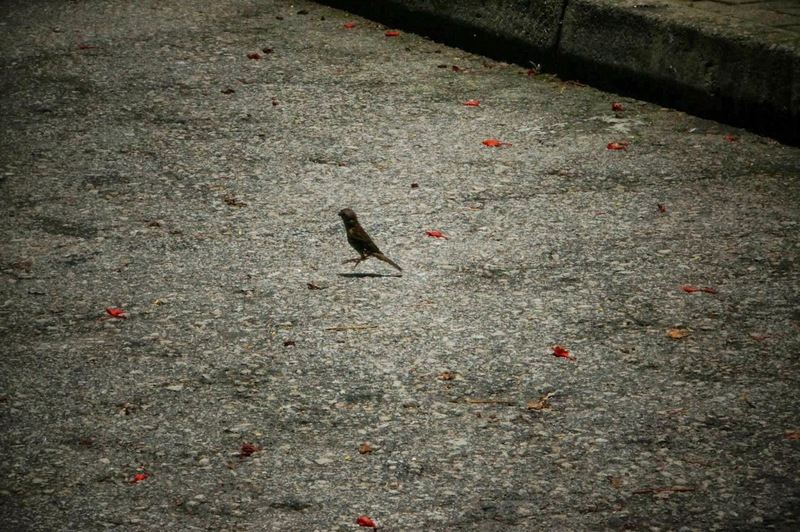 My message is Loneness of walking/ flying alone. Line dominates while value subordinates in this picture. I do admit that I have used so many diagonal lines in this picture. Even the horizon is diagonal, maybe I am too stressful at that time due to that evil open examination. Progressive rhythm of value from low-key to high-key is also diagonal. Maybe I am a bit insane at that time. Unity of diagonal line.BTW, RULE OF THIRDS and ONE-POINT PERSPECTIVE. My message is to express girl's feeling and passion on her first-try alcohol but this "first-try) also indicates she is going to face the darkness of competitive society. I consider this as my best photography within my 19. B&W. Unity of diagonal line again. Even the dignity of tree(the vertical line) has been "exaggerated" to emphasize the diagonal line. "When the foundation quivers, dignity and dependent of human destroys. They all out of control." -----my message. One of my best(yet not better than the previous one) and reminds me of a song named "Feint"<= piano version is really good. Taken in Guam. Seems like contrast, seems like balance. Even myself, I get lose to describe value of this picture. It is blur to learn whether it is contrast or balance. But I would say it is a contrast. Use of line is noticeable to emphasize the butterfly. There is another balance in the down left-hand corner to the center. It just depicts the butterfly is playing with leaves (not playing with flowers?). Maybe it is kind of surrealism but it is a fact. I am not very good at landscape photo-taking. Complementary color and contrast of warm and cool. No specific message and it is kind of depiction of landscape. Atmospheric perspective and positioning. High-key and low-key color and alternating rhythm. The center of interest is brought out by the emphasis of space. Just a landscape. Contrast of value and also contrast of warm and cool. It is diagonally progressive from warm to cool. Do you know why the center is with warm color? It is a toilet. Home-feeling and mysterious, I admire the interior architect very much when I take this picture.